LONDON, Aug 16, 2011/ — There is nothing we love more than realising that the weather is getting warmer and we can ditch our battered ballet pumps, our old winter boots and our trainers for a good old pair of flip flops or sandals. Having a wardrobe full of shoes is every girl’s prerogative but we have found that once the sun comes out, we ditch them all and go back to our beloved flip flops. We then proceed to wear them with anything and everything, dragging them along the ground and for as long as we can months after the sun has disappeared. There are many reasons we love flip flops, not least because they tend to be brilliantly comfortable but also, they are so easy to slip on. No fiddling with laces and pulling them on and, well that makes us sound incredibly lazy, but still. Flip flops give our hard working feet a nice little break from wearing heels and they get a good few months of ventilation; no more smelly socks to deal with either. Flip-flops tend to come in a wide variety of styles nowadays and there is a style for everyone, or five styles per person if you can’t settle on one. Our favourites are simple beach style flip flops that you might wear by the side of a pool, quite dated but really, they will never go out of fashion. Our other favourites are elaborate jewelled flip-flops. There are some really beautiful examples of this kind of flip flop to be found in any shop. Bright colours and mosaic like jewel patterns; clusters of beads or sequins are an easy way to add a little sparkle to an otherwise simple summer outfit. Just be sure to pick a style that fits your feet well; no one enjoys blisters in between their toes. 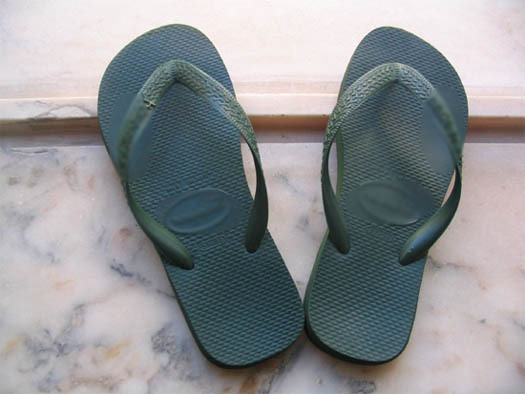 Flip flops are also a great money saver, you can pick up cheap pairs of flip flops from absolutely anywhere meaning more money to put towards that holiday you want to wear them on. Check out the fantastic range of flip flops and sandals at K & Co and get them for your holiday wardrobe!